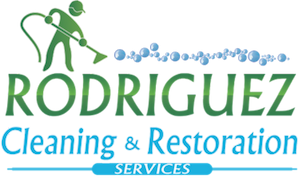 If you own a commercial building or you are the person in charge of the maintenance of your building, you probably found that keep your VCT flooring clean and in great conditions can be a little difficult.Here at Rodriguez Cleaning and Restoration Services our goals es to educate you, give you the tools or assist you with the maintenance of your flooring and building. Hire a Professional Floor Installer. Here is a good reason as to why it’s important. You need to know the exact amount of glue that needs to be laid down or you will have it seep between the cracks. If this happens it is VERY hard to remove off your VCT floor. Why Trying to do the installation or repair yourself when the cost of the cleaning of your own mess, may cost more than Hiring a Professional Installer. Floor Mats. You want to have mats laid down mainly around your doorways. Especially, entrance and exits areas. Having these floor mats will collect most of the dust and dry soil which scratches your flooring. Don’t forget to vacuum those floor mats and Keep Them Clean, They will collect all the dust until they get full. Dust Mop your entire floor every day. Doing so will collect all the dry soil that works like sandpaper that will sand down the tile. Having dust on your floors will reduce the life of your tile. Wet Mop every day or at least twice a week. Try not to extend the wet mop to long. If you spill something to clean it up immediately to prevent from staining. Burnishing once a week to maintain your shine is very important to keeping your floor looking nice and clean. Make sure you use a high-speed floor scrubber. The lower speed 125 is designed for stripping and waxing to remove the old wax. Also, make sure that you are using a white pad. Using a white pad is extremely important because the other colors ones will scratch your flooring and will not bring you the shine that you’re looking for. Dip Strip and Wax. Remove the old wax that has built up over time. When stripping let your stripping mixture set on flooring for 20 mins before mopping up. Make sure you are using a clean mop and clean water. Once dry apply your wax. We recommend using 3-5 coats of wax. If you have a high traffic area you should step up with the number of waxing. If you have less traffic can will be fine using 3 coats of wax. We Hope This Tip Helps you to maintain your VCT flooring and if you need any assistant with the maintenance don’t forget you can count on Rodriguez Cleaning Services for all your flooring cleaning needs.